Venezuelan President Nicolas Maduro described the planned international humanitarian aid for his country today as a “political show”. In the meantime, preparations are being made to get food and hospital supplies across the soldiers who guard the borders of Venezuela. The aid is a cover for US military intervention in Venezuela, Maduro said to the channel RT. He warned that imperialism only makes “dead”, like in Afghanistan, Iraq, Libya and Syria. 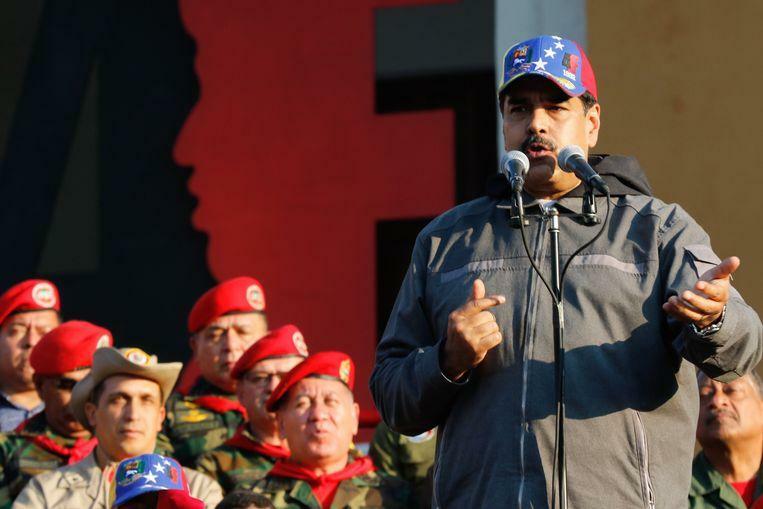 The Venezuelan army – which is guarding its borders – has for the time being refrained from appeals from the opposition and American countries to choose the side of Guaido and to let the aid go. Yet there seems to be a bridge between Colombia and Venezuela, the Tienditas, to be blocked, the Colombian channel RCN reported. There is a tanker and two containers on the bridge near the Colombian border town of Cucuta. 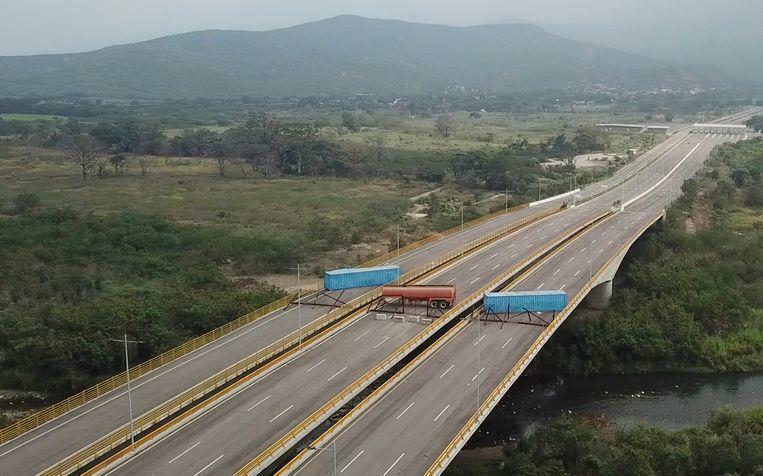 ©AP – A bridge between Colombia and Venezuela seems to be blocked. Opposition leader Juan Guaido, who has been recognized as interim president by many American and European countries, asked for help now that his power struggle with Maduro intensifies. With the delivery of relief supplies, the opposition can show that it is up to the president and is able to eventually expel him from power. The United States has pledged $20 million and Canada $53 million in Canadian dollars, while the European Union is releasing a further EUR 5 million on top of the EUR 34 million it already gave in 2018. Guaido shared a Twitter message yesterday that he had met Venezuelan mayors to arrange the arrival of aid in several municipalities. In a Twitter message, the US Secretary of State accused the Maduro regime of “blocking” humanitarian aid. Mike Pompeo called in ‘capital letters’ to allow that assistance.